The Scrophulariaceae plants are rarely seen in <?xml:namespace prefix = st1 ns = "urn:schemas-microsoft-com:office:smarttags" />Taiwan, especially Raw Rehmannia (Sheng Di Huang). The function of Raw Rehmannia (Sheng Di Huang) is cooling the blood. When Raw Rehmannia (Sheng Di Huang) is prescribed in a formula in Taiwan, the herb stores are usually not able to provide it and give Dried Rehmannia (Gan Di Huang) instead. 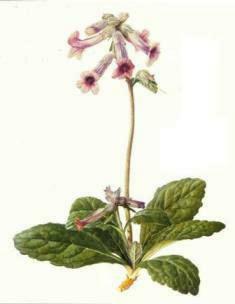 As for Cooked Rehmannia (Shu Di Huang), the medicinal processing is very complicated. If one follows the traditional processing methods, it has to go through steaming and sun-drying nine times. First, the Raw Rehmannia (Sheng Di Huang) needs to be stir-fried with wine and Fructus Amomi (Sha Ren) before being steamed. After steaming, it is sun-dried. The steaming and sun-drying processes are repeated nine times over. Most of the stores nowadays are not willing to spend the time and expensive to labor on this complicated procedure. Therefore, Cooked Rehmannia (Shu Di Huang), steamed and sun-dried nine times, is very hard to get.